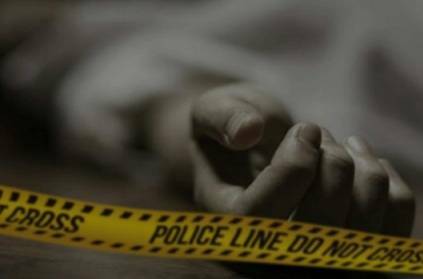 A history-sheeter was hacked to death by a five-member gang in Chennai's Arumbakkam area. According to Times of India (TOI), the incident took place in broad day light. The history-sheeter has been identified as Krishnamoorthy, who had earlier been involved in more than nine criminal cases. But since 2013, this history-sheeter started a new life with family leaving behind the criminal world. After moving on with his new life, Krishnamoorthy started working at a water can supplying agency. On the day of the incident, Krishnamoorthy had come to supply water cans in Arumbakkam. Suddenly, men on two bikes halted near him; they pulled out knives and other sharp weapons. In fraction of time, the men hacked Krishnamoorthy to death leaving him in a pool of blood. This incident took everyone to shock and commuters started running back to their homes. On immediate call by the local people from that area, police came to the spot and conducted inquiries. The body has been taken to a hospital for postmortem. While police have registered a case and launched a hunt for the murder suspect. Further investigations are on in this matter. 'அறையில் இரண்டு கதவுகள்'...திகில் கிளப்பியிருக்கும்...பெண் மருத்துவரின் மர்ம மரணம்! This page contains news relating to various facts and events. The views are generally about current affiars and general topics in diversified areas such as political, international, national, and regional issues, sports, health, travel, lifestyle, technology and business. People having similar interets on the above topics will find this page useful. History-sheeter killed by five people in Chennai | Tamil Nadu News.